There is a veggie fairy in my office leaving garden goodies in our lunchroom for anyone to take. Yesterday it was banana peppers. Well, at least I thought they were banana peppers. A friend recommended we try stuffing them with cream cheese, mozzerella and pepperoni then grill them. The red ones were delicious. The greener ones burned like the dickens. Even the skin on my hands burned all evening from cutting the peppers. I had trouble taking my contacts out and had to wear my glasses the next day. Both Aaron and I can handle spicy hot foods, but this was off the charts. 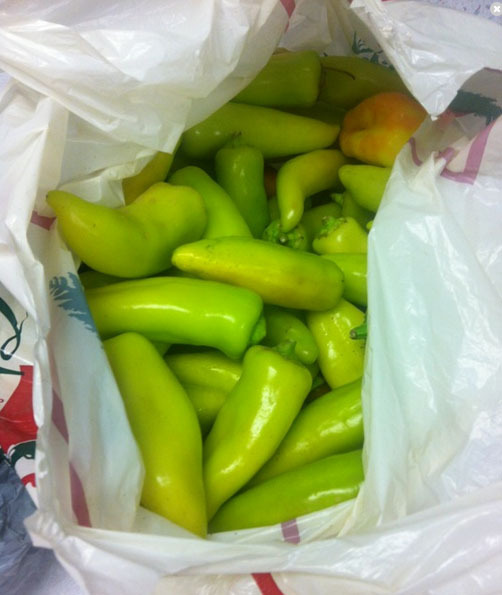 Banana peppers? "Banana" suggest mildness in my book. What were these?! I will try this recipe again, but I will be looking for a pepper that won't cause me bodily harm. I think those might be jalepenos that have semi-ripened (like bell peppers, which go from green to yellow to red and can be eaten at any stage). 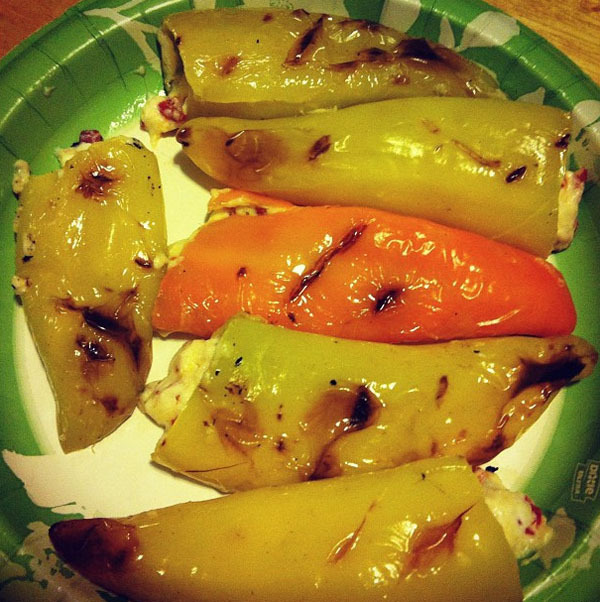 Those are Hungarian wax peppers. I believe that they are generally classified as medium-hot peppers, but how they turn out can be greatly affected by the climate in which they are grown. I know that mine have been a bit hotter than usual this year because of our hot summer. I heard a great story on NPR about a restaurant in NYC that's growing all their own peppers & that this year the peppers truly are hotter than usual! Thank you for all the pepper comments! Who knew! ?